Is it safe to travel to The Philippines? by Dave from The Longest Way Home ~ October 13th, 2014. Updated on October 30th, 2016. Published in: Travel blog » Philippines. As someone who has spent a lot of time in The Philippines I feel it’s important that readers here know of recent events on the island nation. The vicious murders of two tourists in Thailand in September has put a lot of focus on both the safety of tourists in South East Asia and the apparent dismal criminal investigations that take place in the region. Last week in The Philippines three tourists were murdered in two separate incidents and a church was blown up in a grenade attack. This week two kidnapped Germans are due to be beheaded by a Filipino separatist group supporting the IS. In 2016 two tourists were beheaded while one more was released at a cost of nearly USD $650,000. Most of this has gone unreported or has at least been overshadowed by events in Thailand. Let’s take a brief look how and why these tourists were murdered and kidnapped in The Philippines and see if the tropical islands of the Philippines are still safe to visit or not. On Sunday the 5th of October 2014 at about 1.20 pm two Swiss men, Robert Erich Loaber, 67, and Balthasar Johann Erni, 78 were killed by gunshots to the head. The two men were leaving a beach resort with their girlfriends when two unmasked local men who were staging a fight walked up to them and shot them at close range. The men then calmly walked away, got in a taxi and drove away. It reads like an assassination. Since the killings more rumors than facts have emerged. The torrid excuse of “love triangle” is often mused around The Philippines in such killings. The fact of the matter is no one other than local papers and gossip sites have said such things. Police have stated CCTV and sketch drawings of the murderers would help catch them. One week later and there’s been nothing released. The Governor has offered a 100,000 peso reward and there’s been little else mentioned about it (SunStar: source). On the 7th of October a 23-year-old Swiss National Florian Mayer was found stabbed to death in the popular surfing area in Surigao. This just days after a local ex-City Council member was gunned down in the town. Again Mr. Mayer’s death is filled with local rumors about another “love triangle” and a bizarre case of a room-mate who signed the hotel registry with the name “John Lennon”. The only follow-up action taken in this case are some torrid and disrespectful photographs of Mr Mayer’s body on local media sites. That and a call from local city councillors to end the curb of drug and violent crime in the area followed by a lot of political mud slinging (source: Mindnews). On Wednesday the 8th of October at 7.40pm a grenade launcher attack on church in the town of Cotabato kills 2 and injured 7 during a church service. Muslim separatists or possibly criminal gangs are being blamed with no one taking responsibility or offering a reason for the attack (source: PhilStar). John Ridsdel from Canada was kidnapped from yachts near Davao in 2015 along with another Canadian (Robert Hall) and a Norwegian Kjartan Sekkingstad along with a Filipina Marites Flor. Ransom was asked. In 2016 John Ridsdel was beheaded in a very barbaric fashion. Later Robert Hall was killed by beheading in a similarly vicious manner (source: ABC and CNN). Kjartan Sekkingstad was freed at a cost of USD$638,000. Filipina Marites Flor was released with the intervention of the Philippines government (source: Al Jazeera and CNN). Why are so many people being killed in The Philippines? Let’s look at the facts. The Swiss tourist murders are most likely unrelated to each other so it’s not a hate crime against the Swiss. All three incidents occurred in Mindanao which is the largest Island in the South of The Philippines. 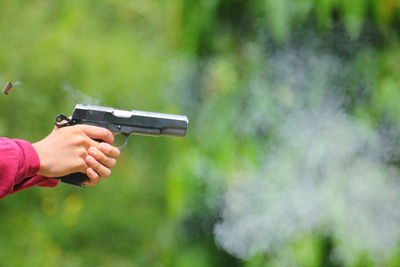 Mindanao is renowned for shootings, kidnappings and robberies. Most of this is blamed on Muslim separatists who want an autonomous zone or independence in the region. Even though a peace deal was made separatists continue a campaign of violence. Aside from the Church grenade attack insurgents don’t seem to be the cause for the death of the three tourists killed in The Philippines. This in its own right is slightly more worrying for the average tourist considering a vacation in the Philippines as it doesn’t give definitive cause to the killings. Nevertheless most tourist deaths do seem to occur in Mindanao and not in the rest of The Philippines. As I previously wrote Guns are widely available in The Philippines, this certainly does not help in the situation. Knives and guns can be bought legally and illegally with relative ease by anyone with enough money or intention. There are regulations in place but it’s certainly not of a high standard. It’s not just tourists and locals being killed that often make the headlines in The Philippines. Kidnappings are getting to the point of being quite commonplace. Most of the past kidnappings have occurred around Tawi Tawi and around the Sulu Archipelago. Again this is the South of the country and again it’s related to separatists. 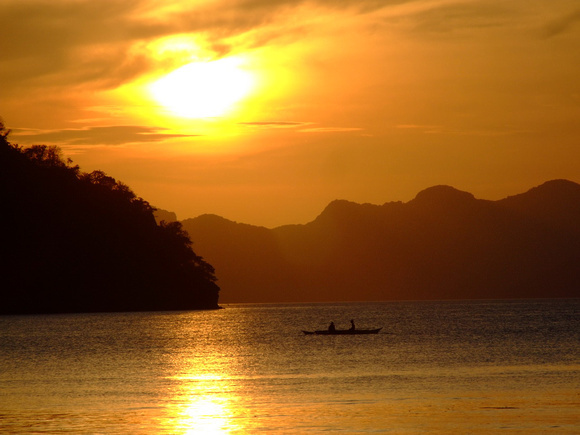 However recently there has been another kidnapping of two Germans near the very popular island of Palawan by a group affiliating themselves with the IS. Is the Islamic State (IS) in The Philippines? In April 2014 an Islamist separatist group in The Philippines kidnapped an elderly German couple from their yacht just off the coast of Palawan island in the north-west of the Philippines. In August the group have appeared with the couple demanding a ransom or the tourists would be killed (warning: graphic content – source:breitbart). So the answer is that a group of Islamic separatists in The Philippines support the IS and are following their methodology. The sheer lack of information or follow-ups on these brutal murders and kidnappings in The Philippines is not that uncommon. Neither is it uncommon to call into question police criminal investigation in South East Asia. In the case of the Opol killings video footage shows police working on the crime scene when it’s raining with nothing covering the evidence. In the Surigao killing photographs show police handling the dead body with no gloves. (I’m not posting links to Philippine media with these images out of respect to the deceased and their families however they are not hard to find online). It’s been a week since the murders of all three and nothing has come about other than a getaway taxi was found. No sketch drawings, no DNA results, no leads. The kidnapped German couple were given two weeks to live unless a ransom was met. That was two weeks ago and still no news or updates. In 2016 Rodrigo Duterte, the former long standing mayor of Davao, was elected president of The Philippines. His primary election promise was to wipe out drugs in the Philippines. While the news down not make headlines The Philippines has a huge problem with narcotics, in particular Methamphetamine or crystal meth or as it’s known locally shabu. While many local people get addicted due to it’s relatively cheap street price, the overall profits from shabu are huge and are usually earn by powerful drug cartels. The arms of the cartels have brought in everyone from local tricycle drivers to the police and high ranking politicians. Duterte promised to wipe them all out, literally. Upon his election police, hit squads and local people were all even free reign to “eliminate” or report dealers. The result? over 4,000 people were killed in the first few months of Duterte’s presidency which continued to have a 90% approval rating by the people (source: AlJazeera). As Duterte’s war on drugs continued so did condemnation from the USA and UN on the grounds of human rights violations. The often outspoken Duterte did not take kindly to this condemnation which as one stage resulted in him calling the USA President Barack Obama a “son of a whore” (source: Guardian). Following the above events Duterte told USA troops in Mindanao they had to leave. Two weeks later and the USA embassy in Cebu all but shut down. Duterte then went on an “economic” visit to China and announced he had Chinese heritage and was sexually abused by a USA Catholic priest as a child (source: Forbes and Telegraph). While Duterte’s political team have constantly said they are still close with the USA it is clear Duterte himself either is playing his cards for the best deal available by vying the USA against China. Or indeed, Duterte is heading towards a pro-China relationship which will no doubt fuel the ongoing international concern on the South China Sea. Is it safe to visit The Philippines? Good question. In 2014 and 2016 there’s very little doubt that Mindanao should now be avoided by tourists and travelers. Unexplained murders of tourists and continued Abu Sayyaf / Islamic State violence in the area simply makes it a no go area. Checking out the foreign office advisory from your own country will no doubt reiterate the same thing. It would also be prudent to avoid any yacht travel around the islands nor visits to particularity remote areas. Meanwhile the rest of The Philippines is no more dangerous than anywhere else in South East Asia unless you are drug dealer. Mindanao simply continues to be a localised violent area. More worryingly is the kidnapping and spread of violence against foreign nationals in the rest of the Philippines. Thankfully, so far, this seems random and infrequent at best. I’ve met and know many expats in The Philippines. Most are concerned, particularly the ones living in Mindanao. Most are involved in some form of romantic relationship while the rest enjoy the Philippine lifestyle. The former make it clear they have no intention on leaving. The latter are thankfully more cautious. Personally, I’ve seen plenty of expats justify their stays in Mindanao for umpteen reasons. The safest place in Mindanao for an expat is probably Davao city. Other cities are generally safe too but given that those few “foreigners” are easily spotted in smaller cities they are a prime target. Whereas say in Manila or Cebu there are lot more “foreigners” so one’s chances increase in not being involved in an incident. Certainly those in small villages around Mindanao would do well to avoid living there if at all possible until Abu Sayyaf at least are removed. You’ll simply be drawing attention to yourself. Yes, Duterte has said he’ll wipe out Abu Sayyaf, but in the meantime with the current anti-west disdain and these kidnapping and murders there really is a risk. Outside of Mindanao the risk reduces dramatically. But as with all expats it really is best to keep a low profile these days. Any hit of wealth, stupidity or ease of being conned will generally call attention to an expat living in the Philippines. Where is a safe place to visit in The Philippines? Nearly everywhere else aside from Mindanao. Here are my top islands and places to visit in The Philippines such as Boracay (very touristy though) Bohol (chocolate hills, tarsiers), Palawan (diving, mini-islands), Bagio (rice terraces) and for expats Cebu. Don’t show off your money. Many people in the Philippines have an obsession with foreigners being extremely wealthy. It’s best to avoid handing out money to help people or carrying around large sums of cash. I’ve spent a lot of time in The Philippines. I did my best in the past to promote it in a positive light. Sadly over the past few years the country has focused more on its political circle of business enterprises than tourism and human rights. The result? The economy is booming for a privileged few and tourist numbers have either dropped or shown non-growth (source: PhilStar). Accommodation in The Philippines is more expensive and less value for money than its immediate neighbors. Food in the Philippines is also more expensive than many other nearby countries and certainly sub-par. The Philippines was voted the ‘Most Outstanding Destination of the Year’ by TTG Asia Media’s Travel Trade Publishing Group. While I don’t give much credit to awards such as these, I’m even more agast on what justifies such an award when one-third of the country is basically a no-go zone for tourists? Even with all the above over two-thirds of The Philippines offers safe and fantastic destinations to visit. Not even Thailand can rival The Philippines for it’s world-class diving locations. The rice terraces to the north of the country are epic and the culture is unlike anywhere else in the world. If you are planning a visit you are sure to experience local friendliness with expansive English making travel there relatively easy. The beaches are pristine, the seafood is abundant and there’s a diverse selection of activities to enjoy from volcano climbing to caving. However, unless something dramatically changes within the very infrastructure of Filipino society its reputation as a tourist friendly nation will continue to plummet. Updates on the original tourist murders in this article. Update: The al-Qaeda-linked and IS supporting terrorist group Abu Sayyaf, who kidnapped the two Germans have said one of them will be executed on Friday the 17th. A representative from the Philippines Armed Forces has said they are ready to act but need the go ahead from the crisis management committee (source: GMA). Update 2: Part of the ransom has been paid and the Abu Sayyaf group have said the Germans will not be killed. Hopefully, more details will be made available as giving financial settlements to kidnappers and terrorists has far reaching repercussions. There’s been no further developments on the two separate murders of the three Swiss men. Previously the German government, in a separate kidnapping case in Syria, stated no state money was involved. In this case it remains to be seen who paid the German hostages ransom. Update 4 (12th November 2014): One month on and there have been no updates or statements in regard to the two separate murder investigations of the three Swiss nationals who were killed in The Philippines. The only article published was by a journalist from the Philippines Star who asks the same questions as to why there is no progress? (source: PhilStar). Unless there is a resolution to both of these cases there will be no more fun in The Philippines for any tourists thinking of going to Mindanao. Sadly there has been no new breakthroughs in this case through to 2016. Instead more murders and kidnappings have taken place. It seems the Philippines has chosen a very different course than anyone seeking good tourism would have liked. Want to read reviews and find the best rates? It on the decline over here alright. Lot’s of malls, less forest. More swimming pools less natural springs. There’s an economic boom but I’ve yet to see a Filipino invest in the countries environment. They just spend it all on designer goods. Meanwhile the underprivileged see all this at get very jealous. It’s easier to kill a tourist than a rich Filipino! The rich Filipino’s family will hunt them down. The tourist? Their embassy will ask for an investigation and nothing will ever come about. The real problem is if the Filipino kills the wrong tourist. All hell will break out. It’s beginning to sound like the wild west. I was meant to go to the Philippines last year when I was traveling Singapore, Malaysia and Thailand. I love diving and the idea of swimming with whale sharks really was motivating. But as a solo female there is no way I was going to the Philippines alone. I met some people also thinking of going but they thought Manila airport and getting out was too much trouble. Finally we thought it would be cheaper in The Philippines but when we added up the costs of flights, hotels and food we went to a resort in Langkawi, Malaysia then on up to Thailand for our diving. I would have loved to have gone swimming with whale sharks but not at the risk of traveling to The Philippines. Manila international airport is indeed a not very nice place. Terminal 3 where the budget carriers land/take off is fine. But yes, the cost of getting to the Philippines is much higher than the rest of SEA. This is something the tourism board of the Philippines really needs to address instead of coming up with new slogans and daft ideas about movies to find love in The Philippines. I think due to the above many people, like yourself, will miss out. Like you wrote it’s mainly in Mindanao this stuff happens. Really the government should just ban all foreigners from being allowed on the island. Would help their image 10 fold. Might save a few lives too. That’s not a bad idea Dan. Unfortunately, at a guess, I’d say the Filipino government has officially said it’s a peaceful region since they signed a peace deal with rebels there. Unfortunately the truth on the ground tells otherwise. I never heard about these murders? And two Germans are due to be beheaded? This is disgraceful. Why is there little media coverage of these things? What’s happened to our beautiful country? It is disappointing that our corrupt politicians have let this happen. I’ve never seen much violence towards foreigners here. The only thing that gets to me is the constant asking for money. It’s worse because there is so much wealth here. But they just keep on asking the foreigner. There’s always been this perception. It won’t change until people realize how much money the top people make in their own country. Was reading through this and it’s no wonder western countries are closing down borders and cutting immigration. The Philippines like Thailand has gained a lot in the past few years. What they haven’t done is invested the money in education or improving police investigations. It’s a disgrace to see some of those new photographs. Fully agree Stuart. Money is flooding in to a few and it’s not being invested in the the future. I’m not sure there is a solution only to stop giving aid until it’s apparent the money is going to where it should be. Sadly there’s too much bureaucracy in the west to make this actually happen. I also lived in the Philippines. Yes, there are too many guns. Armed guards in 7/11s! Not all of Mindano is unsafe. Dumaguete is a thriving and beautiful city and home to many ex-pats. A lovely place. And very safe. 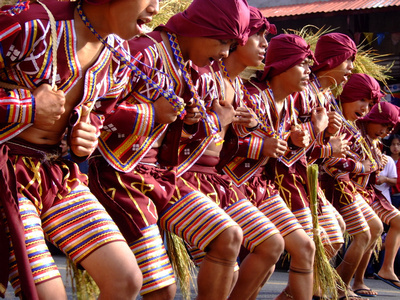 The northern areas of Luzon are also safe and well worth a visit. the beaches and rice terraces are excellent. Check out Sagada . Pagupud is a lower cost version of Boracay. 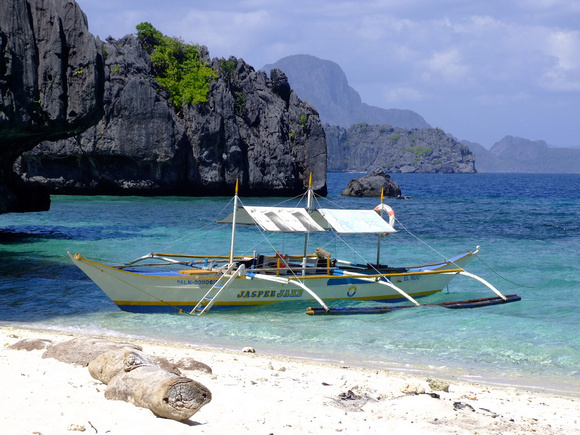 Travelers would also love Palawan. Yes, as I wrote it’s only part of the country this is happening in. Well, aside from the German’s being kidnapped off the coast of Palawan. The country really needs to get the separatist issue taken care of. It is sad to see such a beautiful place become so violent. I don’t believe it is religion at fault. I believe it is greedy people using religion as a disguise. Very true Tommy. Again the violence is mainly in the south. But all the same religion is not helping with the nationwide problems the country has. I don’t want to sound like these crimes are insignificant of course they are not but lets put this in perspective. The Philippines has something like 93 million people with many living in cities far more crowded, traffic, pollution & other problems than most western cities yet the people are welcoming & generous. How many murders does Chicago, Detroit or New York see in a year? Davao city has a large ex pat population with minimal problems from terrorists or locals. 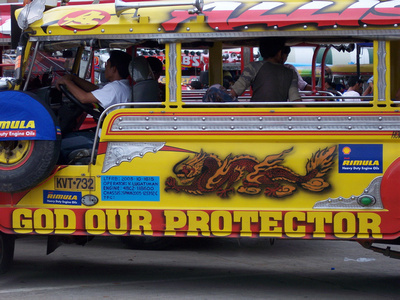 Use the same caution you would use anywhere in the world & enjoy all The Philippines has to offer. Yes the Philippines is over crowded and yes murders happen all over the world. What happened here is that 3 people in two separate incidents were murder over the course of one week in the region. A region known for kidnappings and murders of it’s own people among others. This information rarely makes international news in its own right. When tourists are killed in such a place it’s important people know about it. As I’ve written in the main article there’s been practically zero follow up on the three murder incidents. Gone and barely remembered. The two Germans were released by their kidnappers. That’s about it. Davao City is under Mayor Rodrigo Duterte nicknamed “the punisher” there’s a reason for that and the low crime in the area. A lot of which has been highlighted by human rights organisations including the UN for his tolerance over extrajudicial killings of crime suspects. Death Squads are a great way to reduce crime for some for others it’s a travesty. Davao may be a safe hub for some expats, but it comes at a price. I hear you on the USA thing Greg. Just like the many Filipinos who are murdered everyday and it rarely makes the national news (or even local). Sad state of affairs the world over.